You need Send Out Cards! Is the need to follow-up with people something that constantly ‘plays on your mind’ – if so, you need Send Out Cards to help! You might be full of good intentions to follow-up with your prospects and customers but, due to time restraints, this is something that very rarely gets to the top of your ‘To Do List’. Is follow-up something which instills a complete dread in you as you hate using the phone so you never get around to it? If you have answered “yes” to any of the questions above then you really should consider using Send Out Cards as a great way of keeping connected with your prospects and customers in an extremely personal way. This online greeting card system allows you to create custom greeting cards very easily and send them automatically for a much lower cost than normal greeting cards. It’s an amazing system. 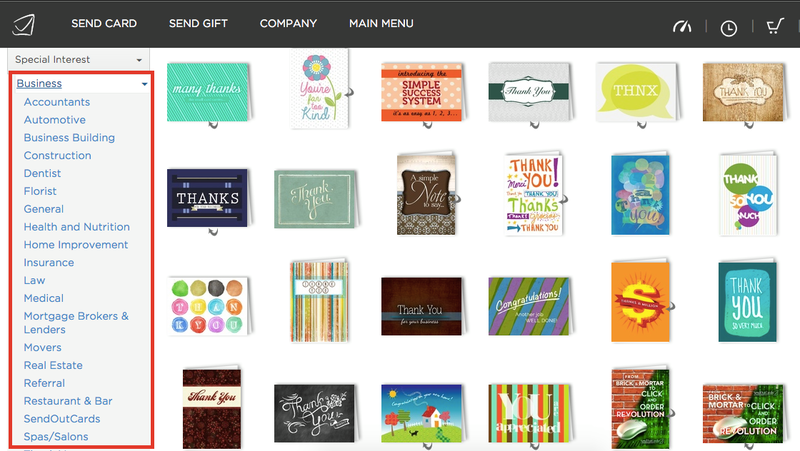 All you have to do is create a greeting card template for your campaign, upload it into the card system and push a button to send it (which takes no time at all). Once you have entered all your contacts (which can be imported via excel, again in minutes) just let the system does the rest. It’s THE most cost effective system on the market to send cards. It allows you to quickly and easily upload new card designs within seconds. You can transfer card designs and full campaigns from one account to another. Previous PostKeep in touch and think outside the box!Next PostAsking for referrals early!